Early Reflections EP II by No. Inc.
Having launched their label 'No.' in early 2014 with the Early Reflections Album, the two artists return to the project with Early Reflections II EP which continues the theme of releasing a part of the 'Early Reflections' Album, previously only available digitally, alongside a new techno cut forged from refractions on the original theme. Side A explores ambient psychedelic regions while Side AA dives into a bass heavy, cavernous techno cut designed for the mind whilst retaining full body functionality. This 12" comes in a special sleeve (cut out "No." 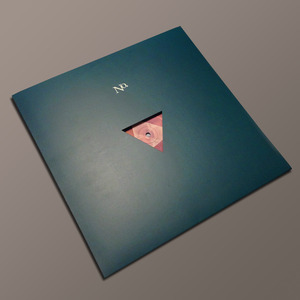 triangle) and is limited to 300 copies.